Algorithms can certainly speed things up. But are they an appropriate tool processing residency and asylum claims that are nuanced and complex by nature? 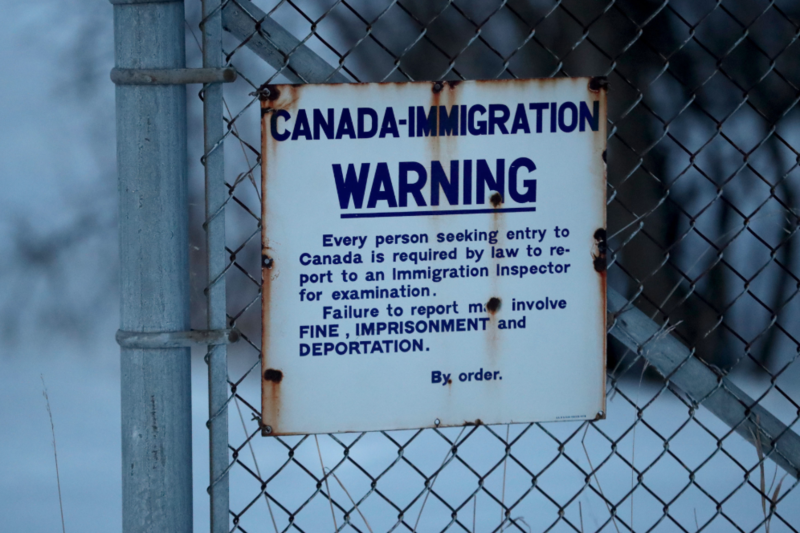 OTTAWA — The large-scale detention of undocumented immigrants in the U.S; the wrongful deportation, in the UK, of 7,000 foreign students accused of cheating on a language test; racist or sexist discrimination based on a social media profile or appearance. What do these seemingly disparate examples have in common? In every case, an algorithm made a decision with serious consequences for people's lives. Algorithms and artificial intelligence (AI) are increasingly being used in immigration and refugee systems, and Canada is no exception, according to research carried out in partnership with Citizen Lab. In our new report, we look at how Canada's use of these tools threatens to create a laboratory for high-risk experiments, and how these initiatives may place highly vulnerable people at risk of being subjected to unjust and unlawful processes in a way that threatens to violate Canada's domestic and international human rights obligations, influencing decisions on multiple levels. These initiatives may place highly vulnerable people at risk of being subjected to unjust and unlawful processes. What constitutes automated decision-making? Our analysis examines a class of technologies that augment or replace human decision-makers, such as AI or algorithms. An algorithm is a set of instructions, a "recipe" designed to organize or learn data quickly and produce a desired outcome. These outcomes can include recommendations, assessments and decisions. We examined the use of AI in immigration and refugee systems through a critical interdisciplinary analysis of public statements, records, policies and drafts by relevant departments within Canada's government. While these are new and emerging technologies, the ramifications of using automated decision-making in the immigration and refugee space are far-reaching. Hundreds of thousands of people enter Canada every year through a variety of applications for temporary and permanent status. The nuanced and complex nature of many refugee and immigration claims may be lost on these technologies, leading to serious breaches of human rights in the form of bias, discrimination and privacy breaches, as well as issues of due process and procedural fairness. These systems will have real-life consequences for ordinary people, many of whom are fleeing for their lives. Marginalized and under-resourced communities such as residents without citizenship often have access to less robust human rights protections and lesser legal expertise with which to defend those rights. Adopting AI without first insuring responsible best practices and building in human rights principles at the outset will exacerbate preexisting disparities and lead to rights violations. We also know that technology travels. Whether in the private or public sector, one country's decision to implement particular technologies makes it easier for other countries to follow. AI in the immigration space is already being explored in various jurisdictions across the world, as well as by international agencies that manage migration, such as the UN. These systems will have real-life consequences for ordinary people, many of whom are fleeing for their lives. Fundamental human rights must hold a central place in this discussion. With the increasing use of technologies to augment or replace immigration decisions, who actually benefits? While efficiency may be valuable, those responsible for human lives should not pursue efficiency at the expense of fairness — fundamental human rights must hold a central place in this discussion. By placing such rights at the center, the careful and critical use of these new technologies in immigration and refugee decisions can benefit both Canada's immigration system and the people applying to make the country their new home. Canada has clear domestic and international legal obligations to respect and protect human rights when it comes to the use of these technologies, and it is incumbent upon policymakers, government officials, technologists, engineers, lawyers, civil society and academia to take a broad and critical look at the very real impacts of these technologies on human lives.